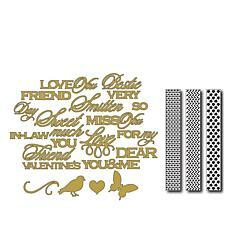 For some, die cutting is a fun hobby that enables people to get consistent results across their projects. For others, die cutting is essential because it allows a user to get mass-produced results, lowering operating costs and enabling business owners to achieve consistent designs in their projects. 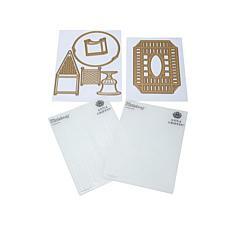 Regardless of whether you're a hobbyist or a business owner and no matter your skill level, you can find a Cuttlebug machine and the Cuttlebug die cuts and patterns needed to complete your next project. 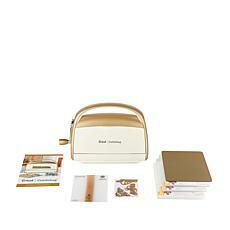 The selection available on HSN includes the machines required to get started. 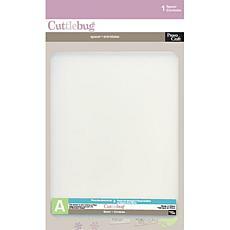 These Cuttlebugs provide the equipment and supplies needed to achieve professional-grade embroidery, creative details, and charming textures on things such as business cards, scrapbook pages, and personal stationary. This also gives you much greater flexibility if you're interested in creating homemade gifts for a birthday or holiday. 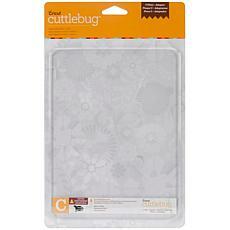 If you already have the necessary starting equipment, look for Cuttlebug accessories to expand your creative portfolio. A new pattern can open up a world of possibilities, and a set of die cuts is perfect if you want all the pieces to complete a project you have in mind. Find the tools and additions you need to master your craft or take your first steps into a new hobby.